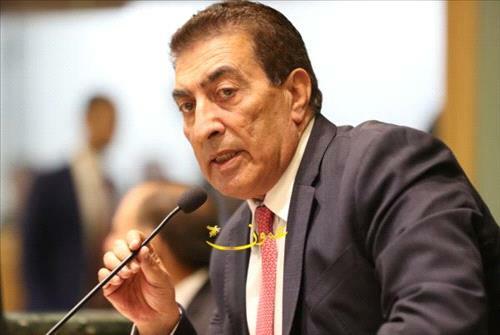 AMMONNEWS - Lower House Speaker Atef Tarawneh on Saturday urged Arab parliaments to unanimously reject any unjust settlement to the Palestinian issue and support the Palestinian Authority in upholding Palestinian rights and seeking a viable solution that culminates in the declaration of a Palestnian state. He made the remarks at an extraordinary session of the Arab Parliamentary Union in Cairo, where the ongoing Israeli violations in the Gaza Strip and the Palestinian territories and the repercussions of the unilateral US decision to move the US Embassy to Jerusalem are high on the agenda. Tarawneh said any peace settlement that oversteps the two-state solution and the declaration of a Palestinian state on national Palestinian soil with East Jerusalem as its capital is "unacceptable, as a matter of principle, and will not be of any value or be recognised by us." Jordan, he pledged, will pursue its support of Palestinians, particularly the treatment of the sick and wounded in the Jordanian field hospital in Gaza, adding that the Kingdom will not relinquish its duty of safeguarding Islamic and Christian holy sites in Jerusalem under the Hashemite custodianship over the holy shrines, and will continue to stand against Israeli violations. The Lower House chief said the Israeli crimes against the Gaza Strip and threats by right-wing Israeli leaders to use more force against the Palestinian protesters came in the aftermath of the relocation of the United States embassy to Jerusalem. Such practices, he added, should "prompt us to take a unified position to pressure Israel into halting its war machine and extremist assaults targeting the land, people and holy places in Palestine amid international silence and denial of Palestinian rights."